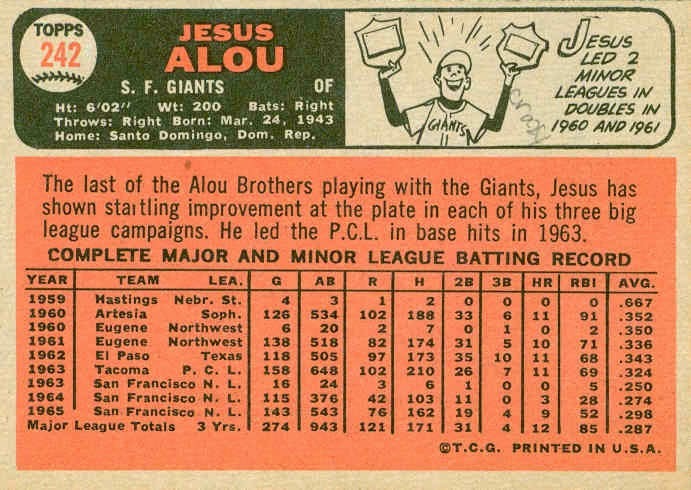 Jesus Alou is the youngest of the 3 Alou brothers. He was the last to join, and to leave the Giants. He played for 15 seasons, mostly for the Giants and Astros. 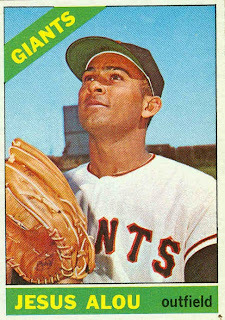 Alou was signed by the Giants in 1958, and made his major-league debut in September 1963. Since his oldest brother Felipe left the Giants after the 1963 season, there was only 1 game where Jesus, Felipe, and Matty all played in the same outfield. 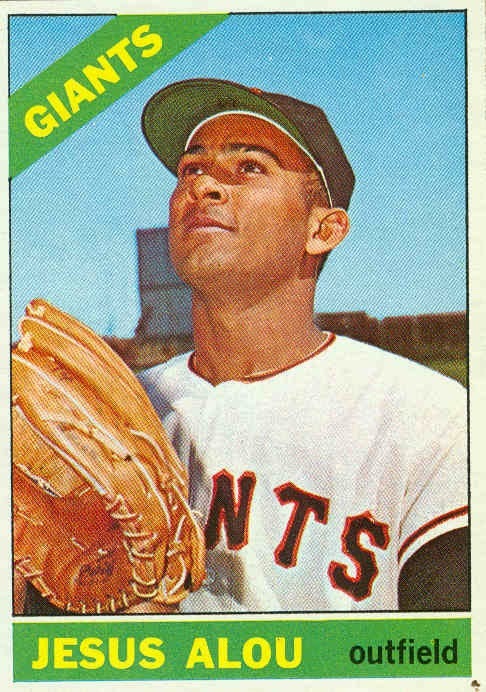 Jesus played 5 full seasons with the Giants (1964-68) and was always the #2 or #3 outfielder (behind Willie Mays) in terms of playing time. In his first 2 seasons he was the primary right fielder. In his final 3 seasons, he split his time between right and left field, as the Giants also worked in 3rd baseman Jim Ray Hart in left, and Ollie Brown (and in 1968, Bobby Bonds) in right. After the 1968 season Alou was selected by the Expos in the expansion draft, and two months later was forwarded to the Astros (with Donn Clendenon) for Rusty Staub. 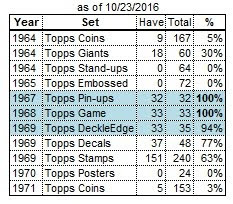 For 3 seasons (1969-71) things continued the same as in San Francisco: Alou was the #2 outfielder, and split his time between the 2 corners. Things began to change during the 1971 season with the addition of outfielders Bob Watson and Cesar Cedeno. Those two, combined with long-time Astro Jimmy Wynn resulted in a reduced role for Alou. In 1972 Alou was relegated to a bench role, starting just 14 games that season. He was sold to the Athletics in July 1973, and was a part-time player with them through the end of 1974. Jesus also played in the and World Series in ’73 and ’74. Alou was released by Oakland during spring training 1975, but was signed by the Mets in mid-April. He rode the bench for New York in 1975, and was released the following spring. Jesus was out of baseball in 1976 and 1977, then re-signed with the Astros in November 1977. He played for Houston for the next 2 years, and was a player-coach in 1979. After retiring following the 1979 season, Alou became a scout for the Expos. He later headed up the Marlins’ Dominican operations, and since 2002 has held the same post with the Red Sox. 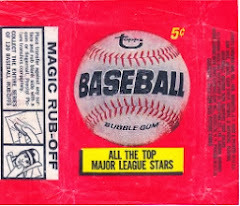 Here is Dean Chance’s last card as a member of the California Angels, complete with wax or gum residue at no extra charge. 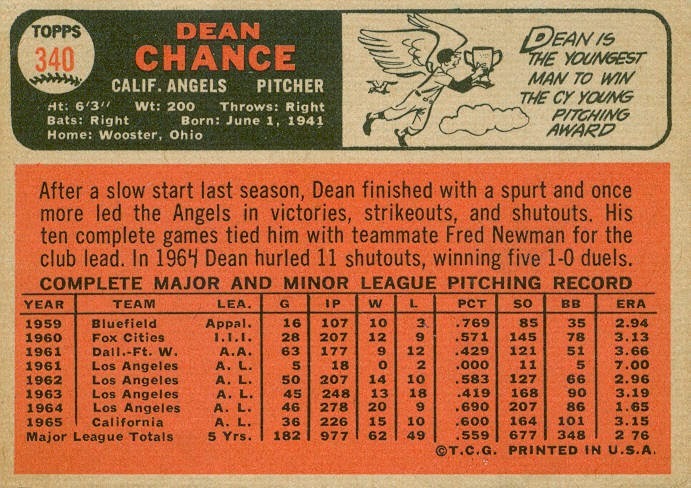 Dean’s best season was 1964, when he won the Cy Young award (back then there was only 1 award, not 1 per league) and led the AL in wins (20), ERA (1.65), shutouts (11), complete games (15), and innings pitched (278). He also had 207 strikeouts. Chance was also an all-star in 1964 and in 1967, his first season with the Twins. In ’67 he won 20 games and was the league leader in starts (39), complete games (18) and innings pitched (283). Chance was signed by the Orioles (I did not know that) in 1959, then after 2 seasons in their low minors, he was selected by the expansion Washington Senators in the December 1960 draft. That same day he was flipped to the expansion Angels for reserve outfielder Joe Hicks. 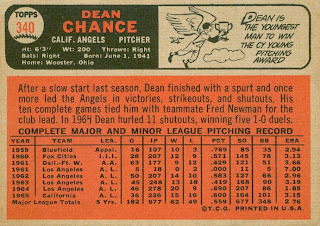 Dean pitched for the Angels’ AAA team in Dallas-Fort Worth in 1961, and made his major-league debut on 9/11/61. In 1962, the 21-year-old rookie led the 2nd-year Angels with 14 wins, remarkable since he spent most of May and all of July in the bullpen. Chance finished 3rd in the AL Rookie of the Year voting behind the Yankees’ Tom Tresh and Angels’ teammate Bob Rodgers. 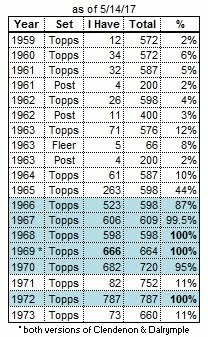 After his big season in 1967, he leveled off at 16-16 in 1968. 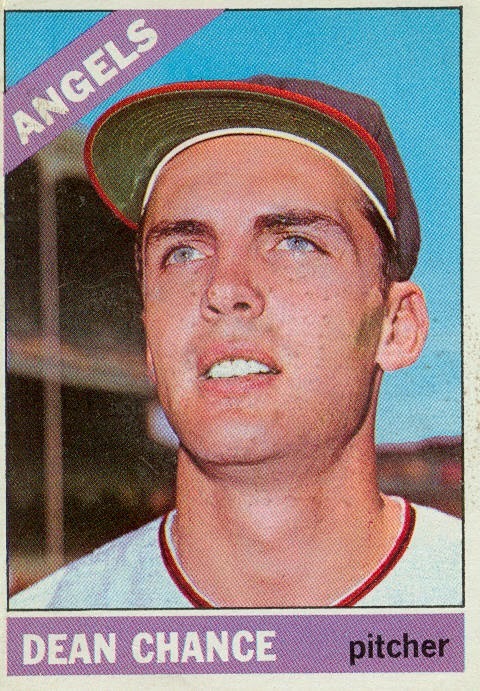 In 1969 Chance missed all of June and July with a back injury, and finished with a 5-4 record in only 88 innings (20 games) in his final season with the Twins. In December 1969 he was traded to the Indians (with 3rd baseman Graig Nettles, pitcher Bob Miller, and outfielder Ted Uhlaender) for pitchers Luis Tiant and Stan Williams. Dean was 9-8 for Cleveland while starting 19 of his 45 games, then was sold to the Mets in mid-September. The Mets traded him to the Tigers during spring training 1971, and his spent his final season as a swing man for Detroit, compiling a 4-6 record in 31 games (14 starts) in only 89 innings. After his retirement, he formed a company that operated games of chance (!) booths at carnivals and state fairs in the 1970s and 1980s. In the 1990s, he started a boxing association and managed several fighters.